A fruit mélange with a tart twist! 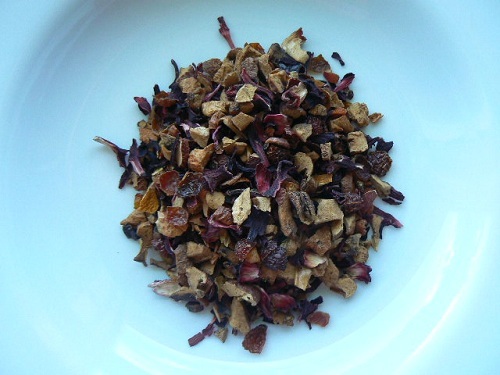 Rosehip and hibiscus give this apple/orange tea its kick. Great for kids and grown-ups alike. There is actually no TEA in this infusion, it’s a caffeine-free blend of fruits and herbs: never had caffeine, never had it removed! We are especially enamored with this as an iced tea, or made into popsicles – full of Vitamin C.